The ensemble plays historical instruments associated with early-music orchestras. The next step seemed to follow logically. The entire sound world and aesthetic of early music had the sense of being fresh and uncharted, just what composers are always seeking in their own time. If microtones could be used in modern music, why couldn’t temperaments — the ways of dividing up intervals — from the past be a similar expressive vehicle? Why not make it possible for today’s composers to write for period instruments? That insight led, eventually, to the formation of Antico Moderno, a new Boston group dedicated to the creation of what it calls “new music for old instruments.” The group, led by Wood and composer-organist Balint Karosi, played its first official concert in December. Its second will be on Friday, a program of ancient and new works. Wood and Karosi will lead a workshop June 1-5, an opportunity for interested composers to immerse themselves in the possibilities and challenges of writing for period instruments. 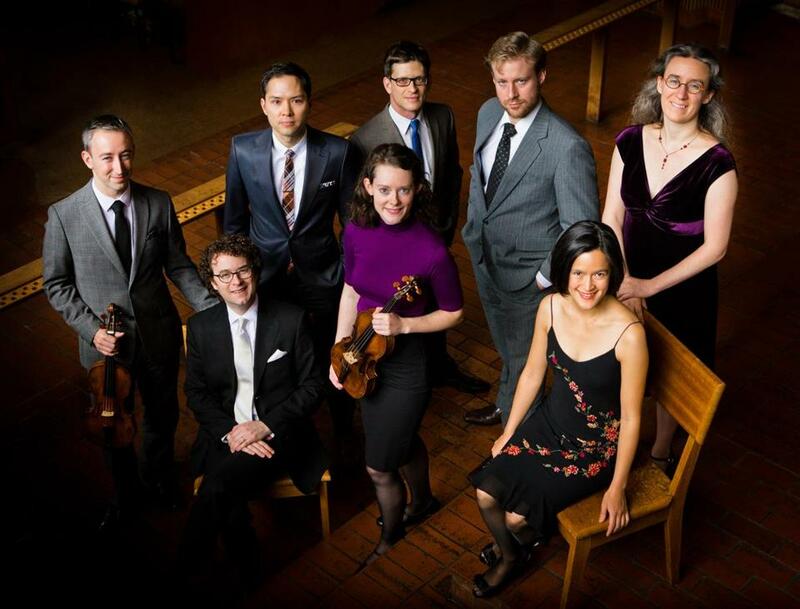 The group will also give a Fringe Concert on June 12 as part of the Boston Early Music Festival. Karosi’s piece, “Bach Studies” took its bearings from Bach’s G-major Trio Sonata (BWV 1039). Each movement drew upon one element from the Bach — melodic, harmonic, rhythmic — explored in Karosi’s own language. It was an interesting experiment, and Wood and Karosi, who would soon both be living in Boston, wanted to continue and amplify. Wood had begun playing as a guest with the chamber orchestra A Far Cry, many of whose players signed on for what would eventually become Antico Moderno. Plenty of others were interested as well. Wood and Karosi launched a website last summer after a Norfolk Chamber Music Festival residency. Before they’d even announced any events, they began to receive inquiries from composers offering to send them pieces. As it exists now, Antico Moderno consists of a small group of performers, mostly from A Far Cry, and a composer in residence — currently Robert Honstein — one of whose works is on each concert. As important as the concerts are the workshops, in which composers get an initial orientation to the instruments and, later, a chance for feedback from the musicians before the performance on what works and what doesn’t. Friday’s concert is called “La divisione,” and its pieces are all oriented around the theme of division. Sometimes that can mean separating players spatially, as in works by Gabrieli and Corelli. Sometimes the division is temporal, as in Katherine Balch’s “Recordatorio” for two violins, cello, harpsichord, and countertenor, whose text (from Ecclesiastes) centers on our being cut off from our own past and future. And sometimes it refers to the partition between life and death: Karosi’s “The Final Wait” was inspired by a Bach cantata that meditates on the afterlife, and uses Bach’s instrumentation. Right now, Antico Moderno is still at a stage at which everything is done on a volunteer basis. Wood foresees the coming year as one in which they’ll focus on raising money and beginning the long, unsteady path to self-sustenance. Wood wants to eventually offer four to six concerts a year, and envisions more outreach work, in which the group would work with composition departments at universities and conservatories. At: First Lutheran Church of Boston, Friday at 7:30 p.m.